On October 30th, the Playstation Blog (North America) had released the Ultimate FAQ for the Playstation 4. Informing people who pre-ordered as well a future potential buyers what the PS4 is all about. The FAQ focuses on from the PS4 system details, game lineup, accessories including the Dualshock 4, PS Store, PS Plus, Digital Entertainment and Game Sharing. There are certain things that stand out in the FAQ that Sony finally brought to our attention as well as things that are important as you transition from Current Gen to Next Gen like whats going on with PS Plus. One of the things that stand out are hard drives. You can replace the stock 500 GB hard drive inside of the PS4 as long as it is a 5400 RPM SATA II hard drive, no thicker than 9.5mm and its bigger than 160 GB. Even though you can replace the internal hard drive, but unlike the PS3, external hard drives are out of the question. Seems like Sony is trying to focus on Playstation Plus' Online Storage which holds up to 1GB for your PS4 saves. The kicker is the lack of DLNA and Media Sharing on the PS4. Sorry guys, can't stream audio or video content from your computer to your PS4. Also you can't play MP3s or CDs. I don't know what Sony was thinking here, but hopefully they change this sometime soon after the release of the PS4. I am pretty sure people don't just want to rely on the video and music streaming applications that will be available on the console. Sony did say that they appreciate feedback and are looking at possible ways to make something happen. The charts below are from the FAQ and they show across the board what features of Playstation Plus is available on the PS3, PS Vita and the PS4 for comparison reasons. Despite some unsettling news, the Playstation 4 is still a great Next Generation console and will probably hold strong in sales. For those who were not happy with only being able to have 100 friends, you can now have 2,000 friends on the PS4. Streaming game play is easier with the Share button on the Dualshock 4, which a link can be shared on Facebook and Twitter and you can have game play live streams on Ustream and Twitch. There are still many things to look forward to. 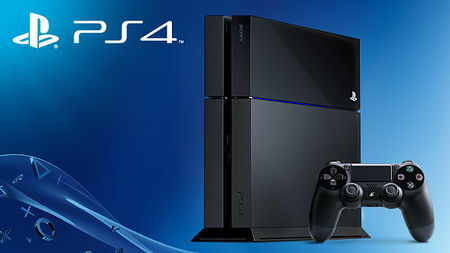 Are any of you getting a Playstation 4? Does any of this information push you away from purchasing one? Let me know in the comments below. After reading this, I must say that the lack of DLNA is unsettling but not a complete deal breaker. When I think of how often I use the DLNA features on my PS3, I actually noticed that it has become very rare. I still believe that this is something that can be patched. Maybe the backlash from such an announcement will cause them to change that before release.